Home › Forums › Adventureaweek.com › Where's my dowload ability? This topic contains 5 replies, has 4 voices, and was last updated by Jonathan G. Nelson 1 year ago. Hi! Although now in December, I cannot download and new adventures this month. I just checked, and the last thing I got was in Nov. Please help. It looks like you started your account on the 29th of X month. The way the entire system works is based around your subscription date. So your downloads renew every month on the 29th (or closest date). Did you by chance download 2 PDFs at the end of November not realizing that was your next month’s quota? Would it help if we explained this during the subscription process to new users? The last thing we want to do is confuse people. Perhaps posting this under the “Subscriber Downloads” area would help? Let me know what I can do to remedy this for you and feel free to also PM me or email via the CONTACT link in the top menu. I’m having something of a similar problem. I have only downloaded 1 PDF this month and when i try to download another i am told my limit is reached. If you are experiencing problems with Adventureaweek.com please contact us via the CONTACT link in the menu at the top of the screen. Thank you! I Downloaded 2 pdf 21 of feb, meaning I signed up before or on 21 of feb. I have been waiting for my next downloads (having a game session this weekend) and my quota is still not re-freshed. It would help a lot if you could have a re-fresh date on every account under the profile page. I replied via your customer service email. 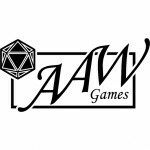 Thank you for supporting Adventureaweek.com and please email us again if you ever experience any trouble.